Boats look so strange on land. Being lifted up out of the water and flying through the air, I often have visions of Peter Pan, Captain Hook and fairy dust. 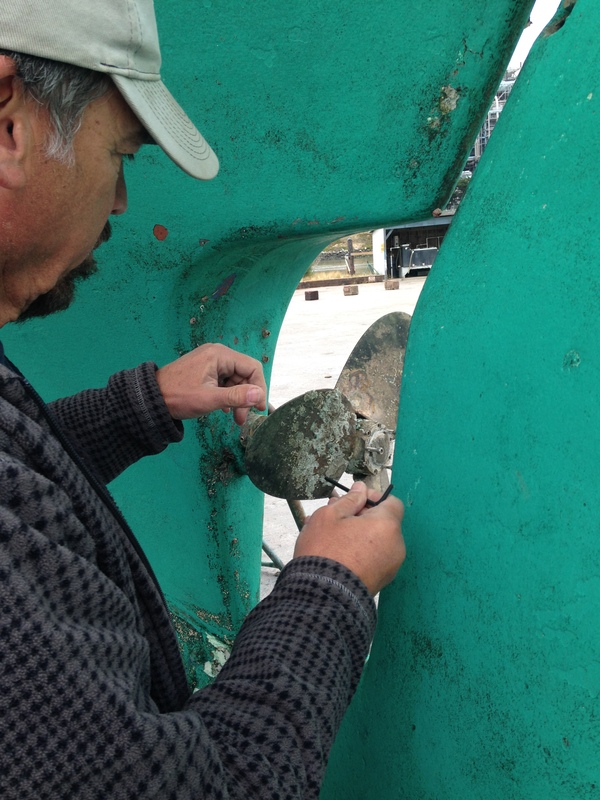 We hauled Pablo out of the water yesterday do some painting, prop work, seacock servicing and overall inspection. And as I watched and pondered Pablo’s unnatural state, I realized that Captain Steve and I too have been living in an unnatural state. To put it plainly, we have been going 100 miles an hour, ten feet off the ground with our hair on fire. As the countdown continues we have been spending every minute getting ready for “The Grand Adventure”. 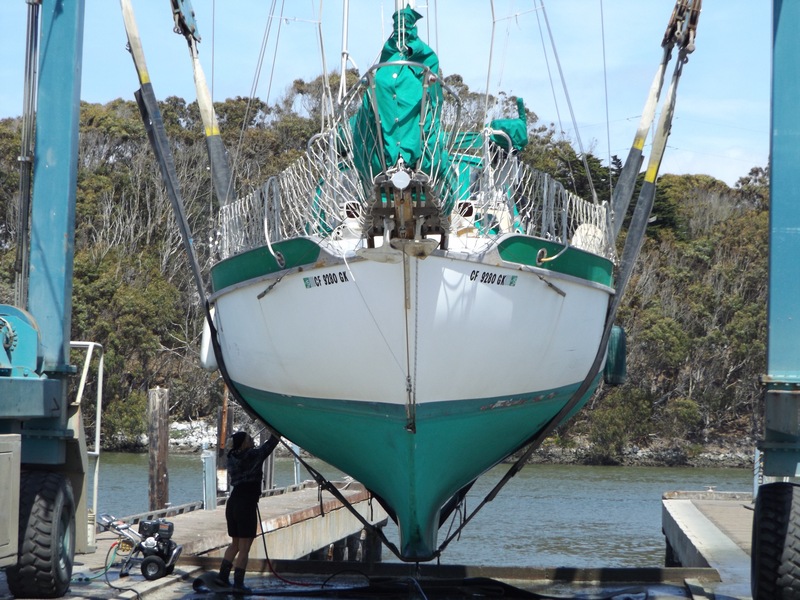 In the last few months we have replaced the dodger, replaced the mainsail, repaired and re-plumbed the head, started re-working the wind vane, ordered and are in the various stages of installing; refrigeration, propane system, SSB, life raft, and wiring for new auto pilot. Additionally we still need to upgrade our solar input and our battery bank. Then there is the small task of sewing various spray cloths, sun shades, and cushion covers. Wait…. that’s not all. We also decided that we should sell our house! What? Yep! As if we did not have enough to do already we decided to toss that monkey wrench into the works. We came to the conclusion that it just did not make good sense financially, emotionally, or logistically to keep it. While all of this takes up the bulk of our time and resources, there is still the day to day life stuff like dentist and doctor appointments, travel for work, family visits, funerals, and birthdays. I have come to the place where I cannot even look at a picture of someone watching a beautiful sunset from their cockpit while on the hook somewhere warm and wonderful without feeling the green bug of envy gnawing at my insides. How did this become such a project? I just wanted to sail away! It is so overwhelming at times. However, I have to say that the Captain and I do quite well getting through it all with a smile, hug, and a giggle. We plan and make lists, we support each other emotionally and physically, and we remind each other that this too is part of the fun, part of the journey. At the end of the day we fall exhaustedly into bed with a smile on our faces. With every completed project we get closer to that sunset. In the meantime we live in a house that no longer feels like home because we had to “declutter”, which is just a nice way of saying get rid of all your personal stuff. We constantly have to keep it showroom clean and are always expecting a phone call from one realtor or another asking us to vacate so they can show the house. Which is fine, because we have to get out of the house and go work on the boat anyway. Once the boat hits the water again, I expect that she will become our main place of residence. Pablo is more like home now anyway. In the months ahead we will work and sail and sail and work. Getting everything important accomplished. I suppose that the idea of an “unnatural” state is probably something I should get used to. I am not certain anything will every be “Normal” again. And yes….. This is precisely what we have been working and planning for. Living outside the bounds of “Normal”. 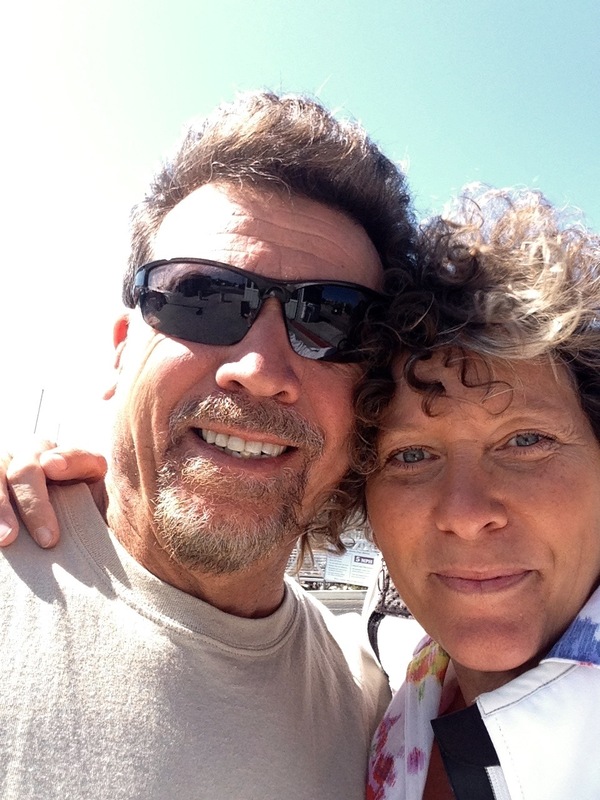 This entry was posted in Uncategorized and tagged Learning, Moss Landing, projects. Bookmark the permalink. Wow Sherri, you guys HAVE been very busy. I didn’t see this post, but haven’t had a lot of time to scan our friends blogs lately. Are you getting sailmail with your SSB? If so, we could exchange addresses and stay in contact once we both are Mexico bound. 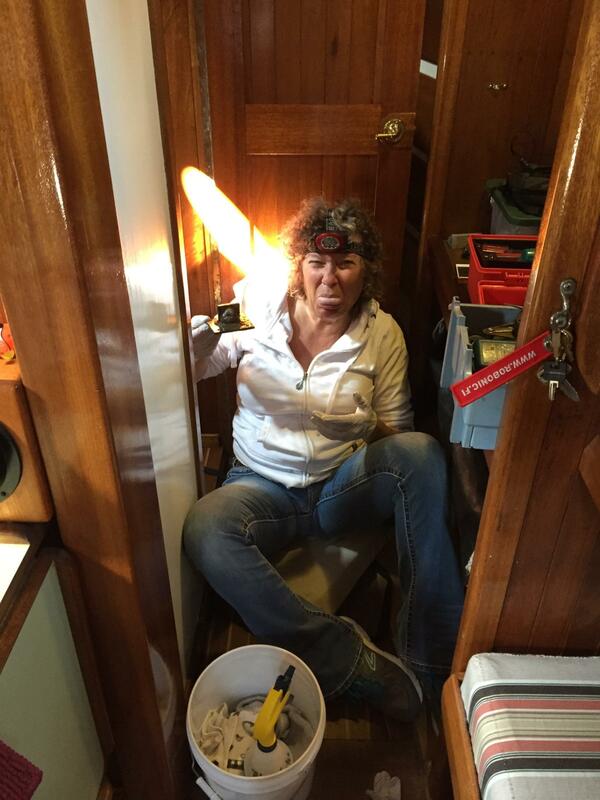 Lots of nicely done projects on your boat, I saw the FB post of your chummy, your interior is very nice. if you have any questions on solar, SSB, propane routing, spray skirts, sewing projects please email, we’ve done it all and still have some hair left on our heads! I’m in the process of sewing dinghy chaps, it will help the life span. John has 14 working days left, less than 30 at the dock… is the world really round? Best wishes for smooth projects, post pics when you have time, love seeing others’ boats!